Superball Gumball toe stops by Grn Monster Superball have a larger footprint than the standard gumball toe stop. Superball Gumball toe stops come with a flat textured surface for control and precision. 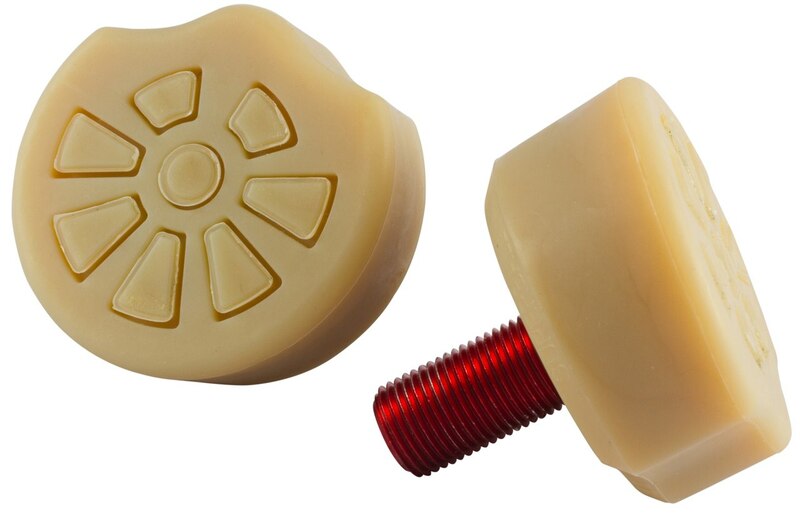 60mm toe stop combining the classic Gumball natural rubber compound for ultimate grip and traction, along with eight slightly harder pads that run throughout the toe stop to give you better durability. The combination of dual compounds and oversized stopping surface insures the best stopping power and stability. Colored stems are packaged randomly. with red, blue, green, or purple. Best stoppers I've used so far!